Payment problems are an issue in any industry. They mess up your cash flow and can put a real strain on the success of your business. 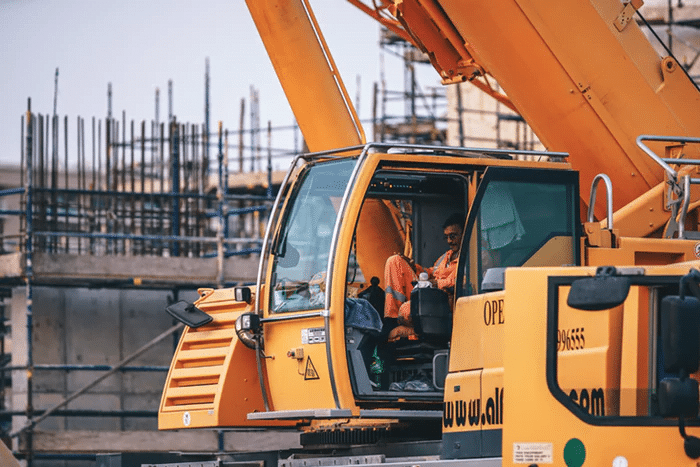 However, in the construction industry, tensions are already running high as communication between the different portions of the construction chain often fails. Each company focuses on their particular role and will get the job done. However, all parties involved in the project are not always aware of who needs to be paid and who needs to pay them. There are clear problems with visibility. This can set you up for a host of issues when it comes to getting paid on time. Analysis by our partner Creditsafe shows that 934 construction companies that have gone into insolvency in the 1st quarter reporting £17M of bad debt with the average business failure owing over £20,000. The stark reality due to the increase in bad debt and business failures has increased the number of CCJ’s to 3253 being issued with an average balance of £4113 means there is £13M of judgements. Understanding the late payment issue in construction comes down to how the construction industry operates as a whole. A few companies dominate the industry and have much more leverage. As a result, the bottom companies might not only suffer from late payments, but they are also at a higher risk of restricted cashflows from those above with more leverage, unfair debt waivers, and difficulty protecting themselves against late-payments. Daniels Silverman has had significant success over the last quarter recovering six-figure sums of outstanding amounts for sub-contractors failed to be paid for completed work. One strategy is to implement systematic credit control and send preliminary notices to all parties, on every project, at every level in the payment chain. This ensures visibility at the top, but also provides security for those at the bottom. Sending preliminary notices has become much easier with modern technology. Tracking and managing notice requirements is done quickly through the use of software that decodes and streamlines the requirements. Companies at the top of the construction chain will track who sends preliminary notices so they can prioritise invoices. If you don’t send a preliminary notice, other firms will have an excuse not to pay you on time. Research suggests that the average day’s sales outstanding (DSO) for projects with no notice sent is 71, compared to 33 DSO where a notice is sent. If it’s looking like your DSO is only likely to rise, there are steps you can take to proactively manage your cash flow. Here at Daniels Silverman, we’ll work to maintain relationships between you and your clients while making sure you get what you are owed. To take the first step towards a better cash flow, get in touch today on 0800 953 3632.